Despite the odds, Daniel Walker launches a mission to find a new world, but never expects his biggest challenge to come from an unscrupulous nanotechnologist. At ten years old, Daniel witnessed a horrific attack. With no forewarning or explanation, the alien Garuda destroyed Earth's outposts and slaughtered everyone on them including Daniel's parents. Trapped for days in a small storage tube on a distant asteroid, Daniel slowly lost his sanity, and after years of therapy still struggles with flashbacks. As the only human to have seen a Garuda and lived, he's reluctantly famous but he uses it to fulfill a single-minded ambition. He's sworn to complete his parents' dream to find a habitable new world. Cadmon Dhyre was also orphaned at an early age, but his experience was worlds apart. Cadmon grew up in a carrier camp along with millions of others. Carriers are shunned and despised for being afflicted with the disfiguring 'toad' virus. 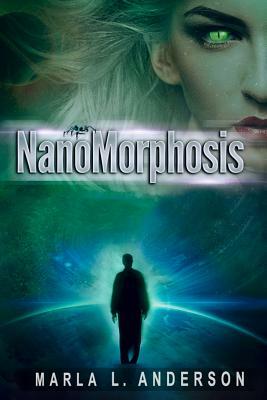 Embittered, driven, Cadmon employs his innate genius to become a medical doctor and renowned nanotechnologist. Determined to find a cure, but blocked at every turn, he grows increasingly ruthless. Walker is prepared to face the aliens again, but never anticipates how an unscrupulous nano-technologist will threaten everything and everyone he holds dear. When ambitions collide, the future hangs in the balance.